Coralie Condon was raised on musical comedy, as her mother’s family were all singers. She was interested in theatre from an early age. 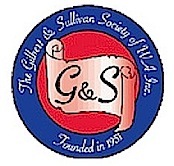 Even while she was a ledger machinist with the Commonwealth Department of Works, she was producing shows at the Repertory Club in her spare time, involving an eclectic range of plays, revues and musicals. 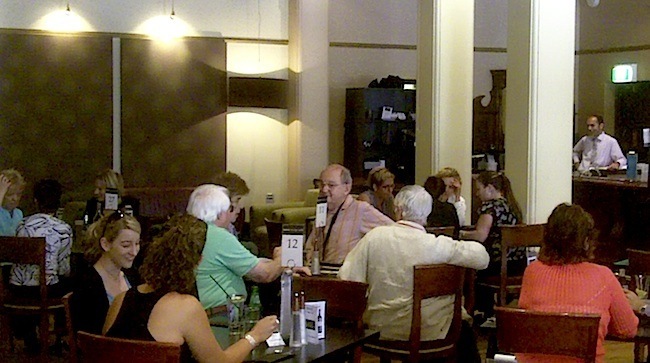 The Repertory Club had developed from humble beginnings in 1919, working out of a basement room at the Palace Hotel, and later, the old composing room of the Western Australian Newspaper Company. It was not long before Coralie became widely known in Perth theatrical circles for her work as an actress and producer. 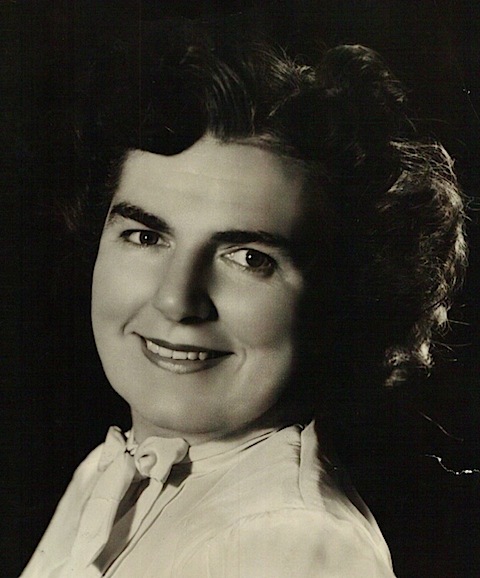 In 1949, Coralie produced the award winning ‘Our Town’, a three-act play by American playwright Thornton Wilder, for the WA Drama Festival and co-produced the highly successful ‘Bittersweet’ with Sol Sainken at His Majesty’s Theatre. 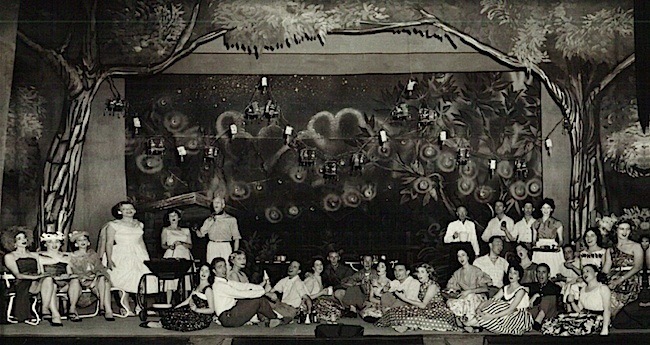 ‘Bitter Sweet’ is an operetta in three acts written by Noel Coward and first produced in 1929 at Her Majesty’s Theatre in London. 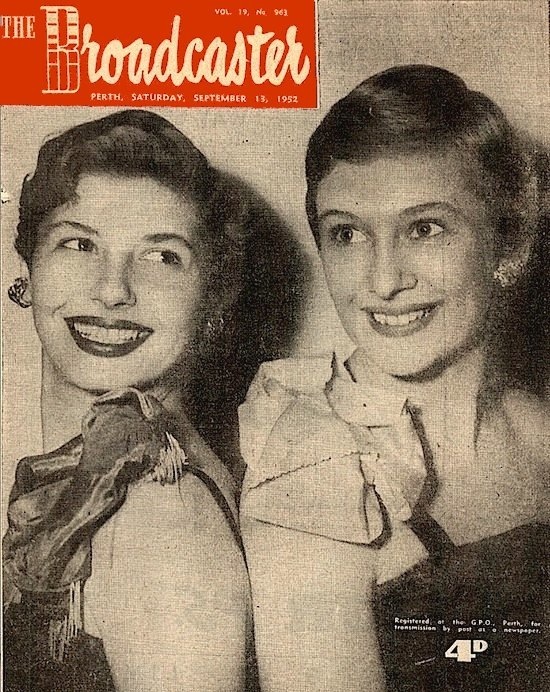 Coralie’s passion for musical comedy was reignited following her trip to England in 1950, for on her return she produced six revue shows called ‘On The Beam’ at the Repertory Club between 1951 and 1955. The scripts were written and the music composed by Coralie, with brother James Condon as the compere and cast of Hazel Lewis, Ian Millbank, Laurie Croisette, Harry Phipps, Gina Curtis, Kevin D’Alton, Noel de la Hunty, Lynne Clancy, Phillipa Howitt, Bernadette Pratley, Michael Cole, Robin Brennan, Toby Krantz, Judy Grace and many others, including several well-known ABC radio personalities. Biddie Lawson was in charge of the ballet and took part in many dances whilst Harry Bluck and the Rhythmaires provided the music. The shows featured songs, sketches, dance sequences and were scattered with many comedic moments. Coralie was also active in the Gilbert and Sullivan Society of Western Australia, which was established in 1951, and performed as an actor in ABC radio productions. In March 1954, Coralie produced ‘Ring Round The Moon’ by the French playwright Jean Anouilh for the Company of Four at the Somerville Auditorium, starring Harold Harvey and James Condon. ‘Ring Round the Moon’ is a 1950 adaptation by the English dramatist Christopher Fry of Jean Anouilh’s satirical play ‘Invitation to the Castle’ (1947). The ‘Company of Four’ was WA’s first professional theatre company of local artists set up after the war by Harold Krantz, Sol Sainken, Lily P. Kavanagh and Nita Pannell. 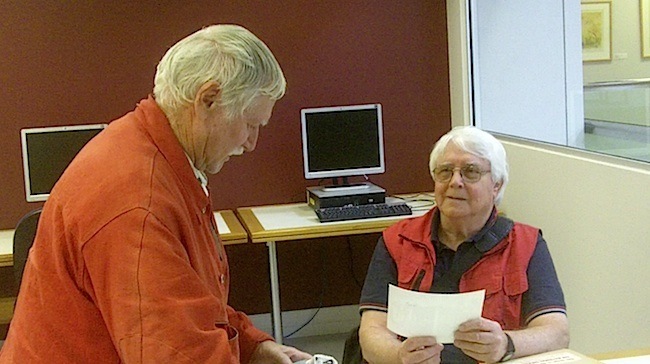 John Birman, the Director of Adult Education was also most helpful. In February 1955, Coralie produced ‘Mary of Scotland’ by the American playwright, author, poet, journalist and lyricist Maxwell Anderson for the Adult Education Board, at the Somerville Auditorium, starring Dorothy Krantz, Gina Curtis and James Condon. The play had been a hit on Broadway starring Helen Hayes in the title role. It was turned into a film in 1936, starring Katharine Hepburn as Mary, Queen of Scots. In February 1956, Coralie Adapted Oscar Wilde’s ‘Lord Arthur Savile’s Crime’ a collection of short semi-comic mystery stories starring Frank Baden-Powell (with whom she formed a partnership in 1967 which resulted in a thriving trade in theatre restaurants). Also this year, Coralie was called on to adjudicate at country drama festivals, during which time she met her lifelong friend Audrey Barnaby. 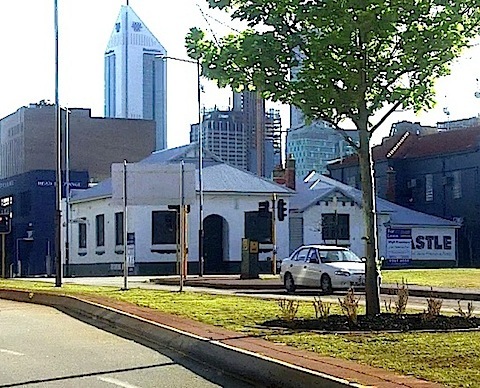 By this time, Coralie was a member of the committee of the Repertory Club, which become a fully professional theatre company called the National Theatre, following the move to The Playhouse at 3 Pier Street, Perth, on Wednesday 22 August, 1956, after the site of the former Church of England Deanery tennis court was transformed into a live performance theatre. In 1957, Sol Sainken produced a play titled ‘Small Hotel’ by Rex Frost, which starred Garry Meadows and Frank Baden-Powell. Garry became a well known radio and television presenter both in Perth and in the eastern states, before his untimely death at 42. 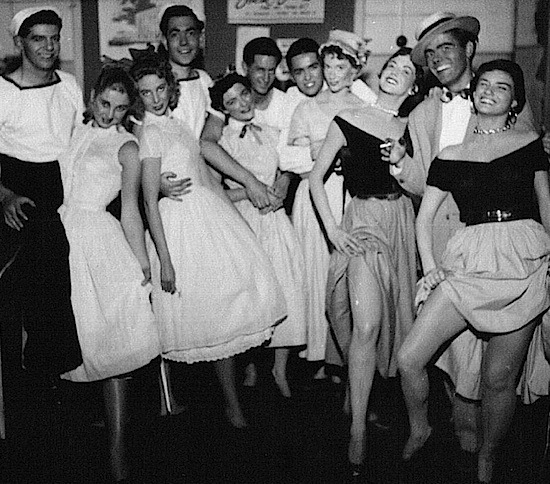 In December 1957, Coralie produced ‘As Long as They are Happy’ by Vernon Sylvaine, a British musical comedy starring Margaret Ford, Ken Brougham and a cast of ten. It was a tribute to the author who only died the month before on November 22, 1957, age 61. 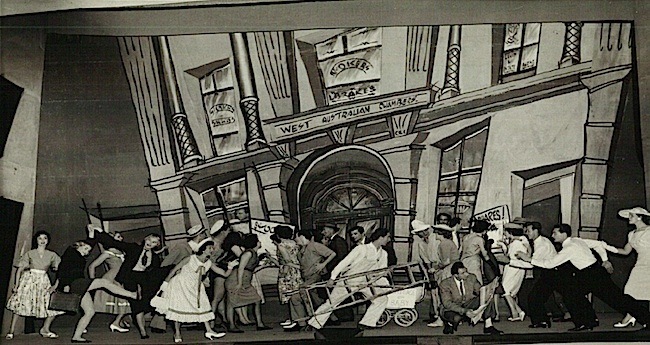 In February 1958, Coralie produced ‘George Washington Slept Here’ by George Kaufman and Moss Hart, which starred Ron Graham, Joan Bruce and a cast of seventeen at The Playhouse. It was a comedy about a couple of New Yorkers who purchase a dilapidated farmhouse where, according to rumours, George Washington spent the night. It was made into a movie in 1942 starring Jack Benny and Ann Sheridan, which was nominated for an Academy Award for Best Art Direction. Coralie then wrote ‘The Good Oil’ which was staged at The Playhouse in 1958. It was produced by Peter Summerton and the cast included Gerry Atkinson, Janice Beilby, Joan Bruce, Don Burgess, George Burns, Paula Cantello, Ron Graham, Philip Porter, Roland Redshaw, Neville Teede, Bert Shaw, Judy Schonell, Dorothy Wilson, Ron Barnaby and Audrey Barnaby. Following which Coralie introduced Audrey to television in early 1960. 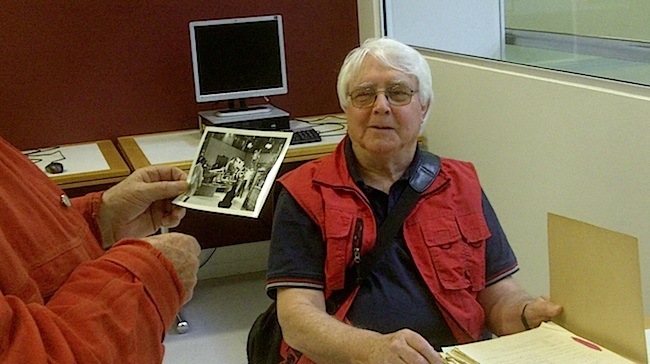 John Easton was the stage manager at The Playhouse, who later went on to floor manage the television production, which was broadcast by TVW seven years later. Cast member Ron Graham later appeared in many television roles and married the shows lead female dancer, Judy Schonell. Their son is the former Hollywood actor Marcus Graham, who most recently played Melbourne underworld figures in two Australian television dramas, 1995’s Blue Murder and 2008’s Underbelly. Marcus also lived with Nicole Kidman before she met Tom Cruise. Bert Shaw also married Dorothy Wilson. 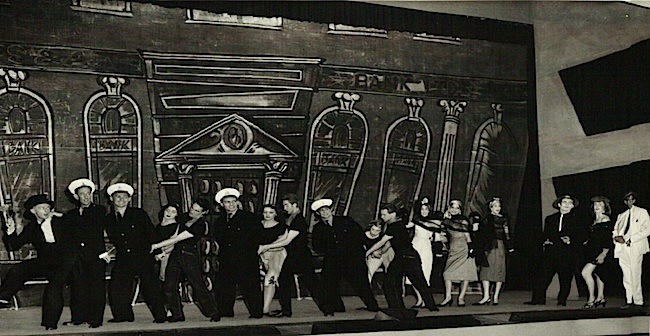 Bert Shaw, Dorothy Shaw (nee Wilson) and Judy Schonell formed three members of the Guys and Dolls dancers for TVW’s first variety show ‘Spotlight’. They were also joined on the TV show by Reg Whiteman, who had a remarkable career with TVW working as a favourite children’s character for a large number of years. 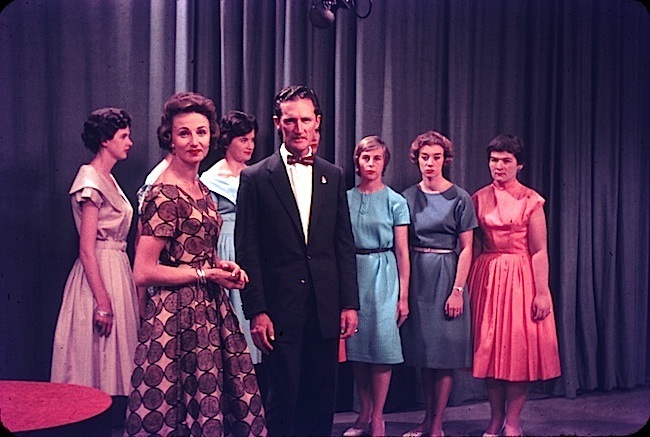 Coralie then went to Sydney and wrote children’s television programmes for the Australian Broadcasting Corporation, before returning to Perth in 1959 where she was involved in talent selection for the opening of TVW Channel Seven on Friday October 16, 1959. 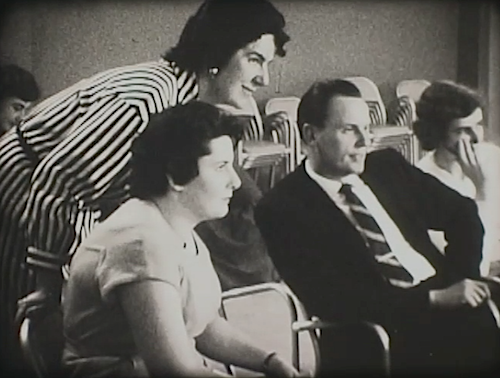 Coralie Condon in the company of Audrey Long (Barnaby) and Richard Ashton (both off-camera) talks about her start in television during 1959. Coralie is also recognised as the Grande Dame of theatre in Western Australia. 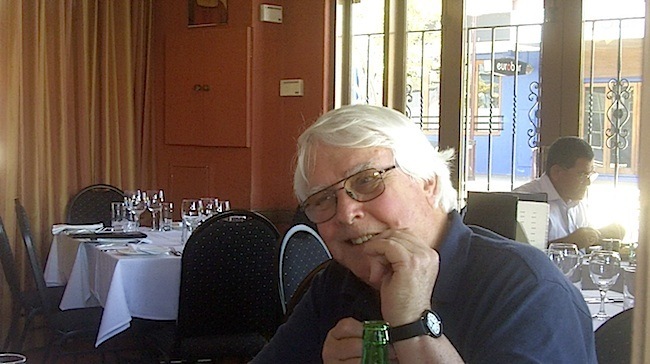 Coralie Condon explains how an old schoolfriend brought along her dog to audition as Winston Churchill, during the earliest days of TVW Channel 7 in Perth, Western Australia. 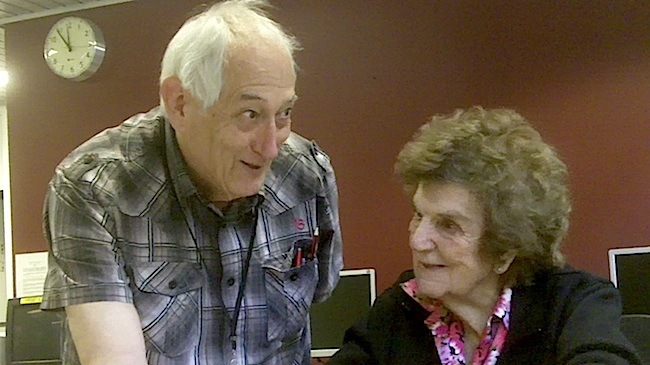 In the 7 years Coralie worked with TVW on a permanent basis she produced children’s, women’s, nightly variety programs, then produced and later hosted a woman’s session. Meanwhile, she kept her hand in producing the occasional stage show. Coralie Condon produced TVW7’s first afternoon women’s program called ‘Televisit’ which was initially directed by John D. Brown. The first presenter was Joan Wilson, though at one early point it was co-compered by Joan and David Farr. 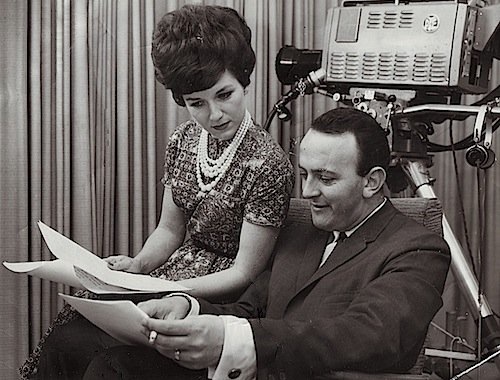 By 1962, the Televisit hostess was Sandra McNab, but she had to retire because of pregnancy, then Coralie took over both producing and presenting, and the program gained considerable popularity due to her natural style. Televisit was on Wednesday afternoons and had no live audience or live music during the early years. Audrey Barnaby’s Shopping Guide was also a segment in the show. Shopping Guide then appeared as a stand alone program on Thursdays, and during Lloyd Lawson’s ‘Today’ show. Coralie Condon produced TVW7’s first afternoon women’s program called ‘Televisit’ which was initially directed by John D. Brown. 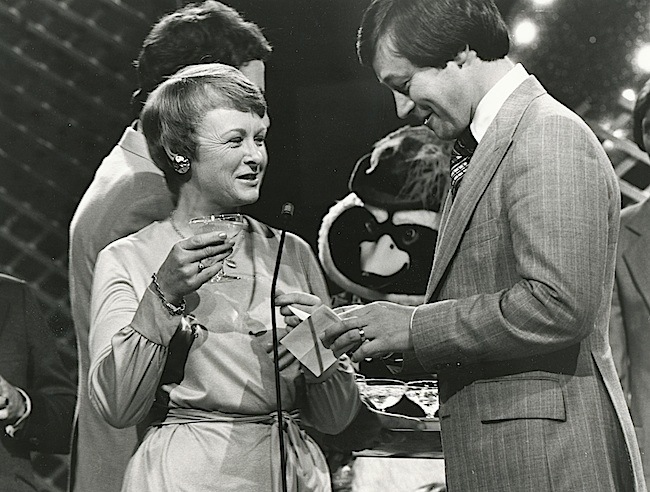 The first presenter was Joan Wilson, though at one early point it was also co-compered by Joan and David Farr. In 1965, Stephanie Quinlan took over the Shopping Guide role, and later became the presenter of Televisit. In 1964, it was back to the theatre part-time as Coralie produced WS Gilbert & Arthur Sullivan’s ‘The Mikado’ at The Playhouse. The executive director was William Beecham and musical director was Alan Woodend. Brian Treasure then announced that he wanted Max Bostock to produce and direct ‘The Good Oil’ for television, and asked for Coralie’s assistance writing the TV script based on her 1958 musical comedy, which premiered on The Playhouse stage in 1958. 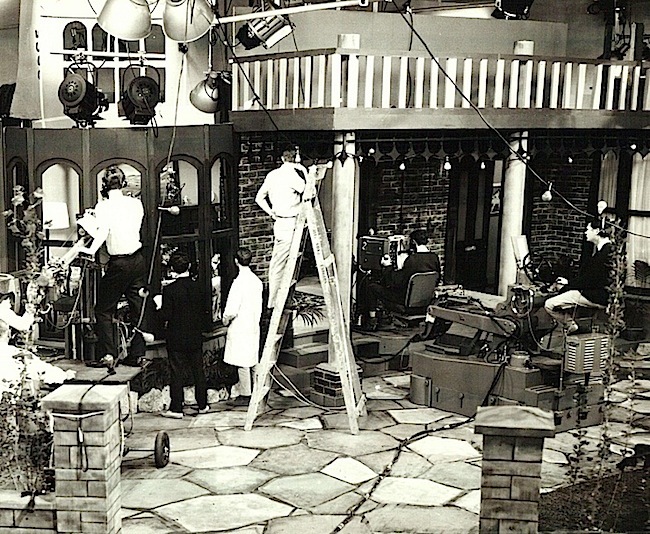 The show was recorded in 1964 and broadcast in 1965. Coralie was delighted when Jill Perryman accepted the lead with the choreography and male lead performed by Jill’s husband Kevan Johnston. It also starred: Margot Robertson, Vic Hawkins, Bill McPherson, John Chalton, Neville Teede, Philip Porter, Joan Bruce, Gerry Atkinson, Danni Harford and the Channel 7 Dancers Jennifer Hayden, Karen Obbs, Janet Ladner, Adrienne O’Meara, Gay Chandler and Clarice Page. 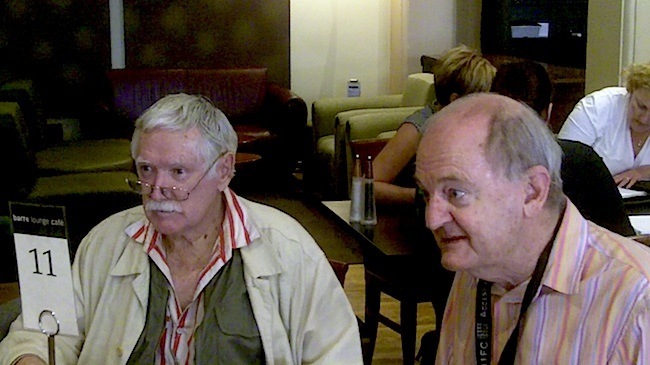 Joan Bruce, Philip Porter, Neville Teede and Gerry Atkinson appeared in both the stage and television versions. Veronica Overton was also in the cast and went on to be a popular personality on STW Channel 9. 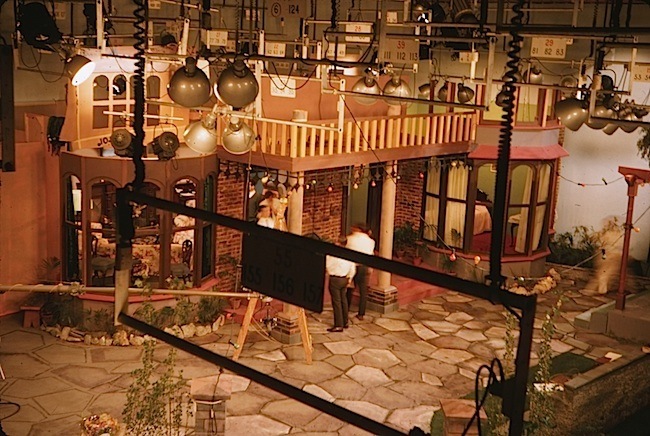 The sets were designed by Brian Lever, technical direction by Alex Stewart, lighting direction by Pat Cahill, audio by George Baker (assisted by Vic Jones and Terry Green) and the floor manager was John Easton, who also made a brief appearance in the Western Australian produced show. 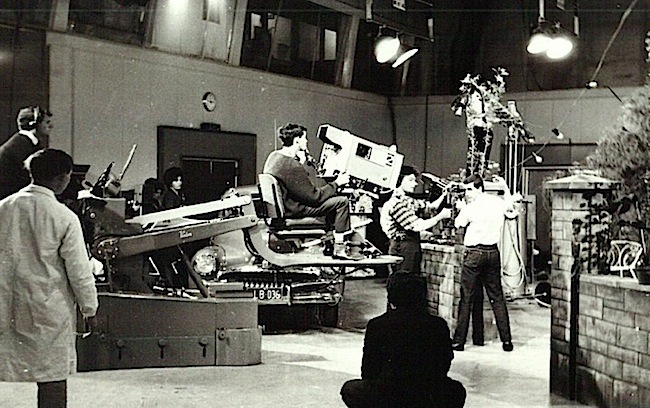 The principle camera was Alan Richards, with Vinton crane driver Murray Kelso. 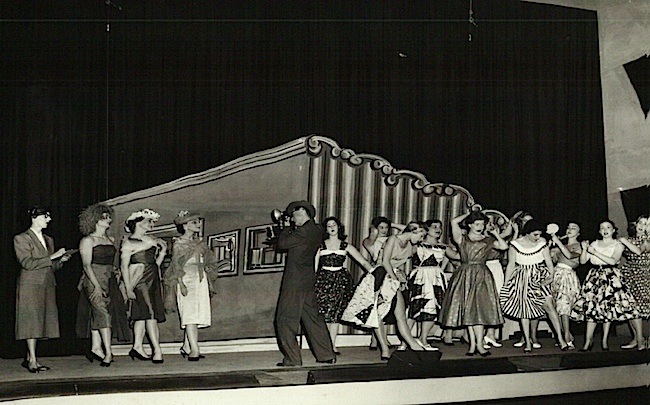 This is the opening number of ‘The Good Oil’ a musical comedy written by Coralie Condon and first performed on stage at Perth’s Playhouse Theatre in 1958. 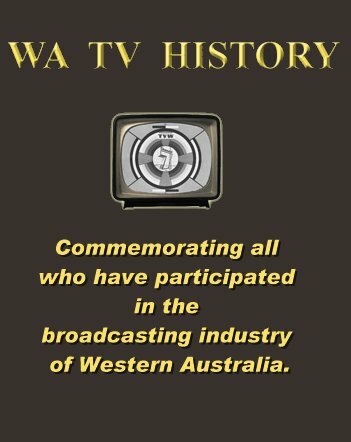 Following this, TVW Channel 7 in Perth broadcast the television version in 1965. 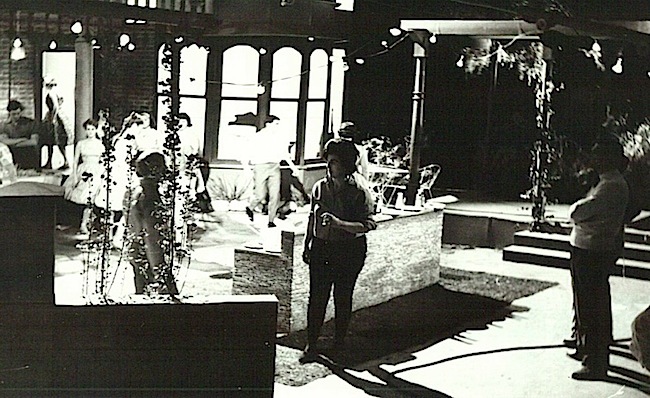 This number was from the 1965 TVW Channel 7 production of ‘The Good Oil’ (a musical comedy written by Coralie Condon and directed by Max Bostock) which features Jill Perryman and Kevan Johnston. 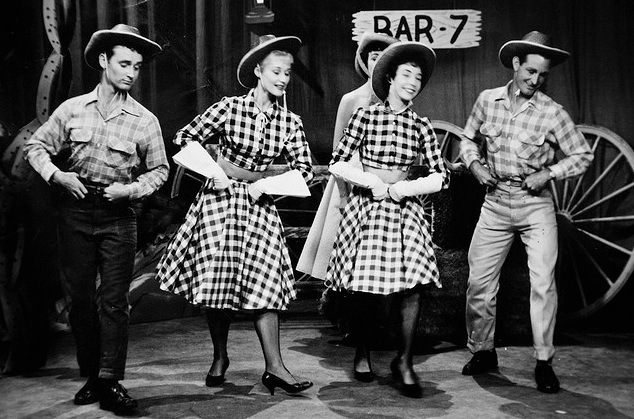 This number from the 1965 TVW Channel 7 production of ‘The Good Oil’ features the full cast in the barbecue song and dance and scene. 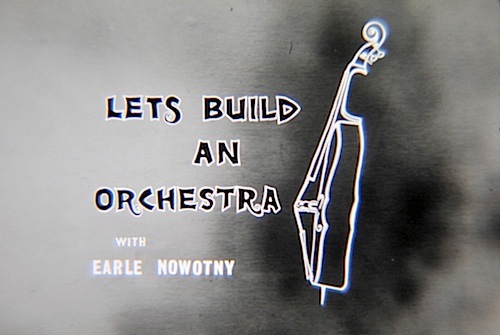 This number from the 1965 TVW Channel 7 production of ‘The Good Oil’ features the chorus. Two numbers from the 1965 TVW Channel 7 production of ‘The Good Oil’ (a musical comedy written by Coralie Condon and directed by Max Bostock). 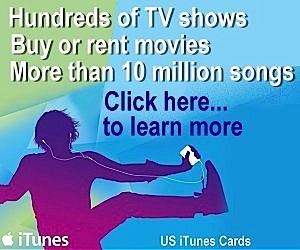 The first song is titled “Give You 99 Good Reasons Why!” and features Kevan Johnston and the boys of the chorus. The second is titled “Dear Bunny” and starts with Clancy (Kevan Johnston) singing as he writes to Bunny, then segues into Bunny (Jill Perryman) singing in reply. A number from the 1965 TVW Channel 7 production of ‘The Good Oil’ which features Neville Teede, Joan Bruce and Philip Porter. She had the opportunity to employ her old theatre and musical pals Frank Baden-Powell and Harry Bluck as judges for a children’s talent quest. In those very early days of television, Frank took on a role we now associate with Simon Cowell of American Idol fame. Frank Baden-Powell was a close theatrical friend of Coralie Condon, who she engaged as a judge for a children’s talent quest. 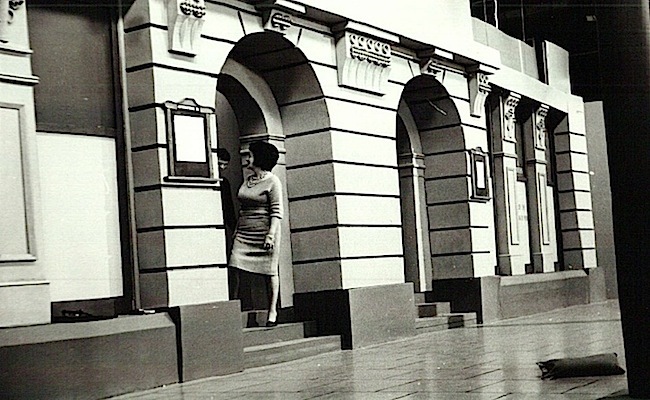 Though a producer, writer and presenter for television, Coralie had always maintained contact with the stage and joined with Frank Baden-Powell to open the Old Time Music Hall in Perth in 1967. 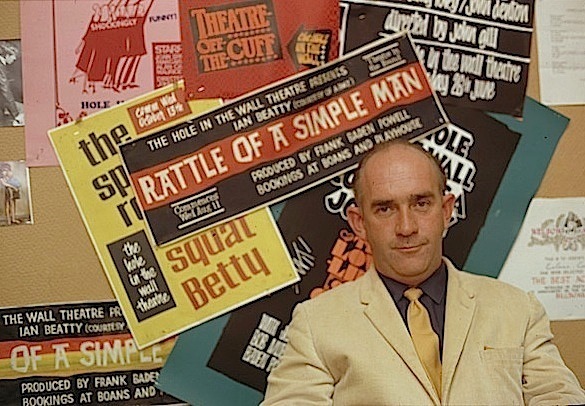 It did not take much persuasion when Frank, by now a well known theatrical entrepreneur, asked her to do the music for a show he was producing at the Hole in the Wall Theatre. It became an evening of old time music which proved very popular. Frank Baden-Powell started The Hole in the Wall as an late night unlicensed Jazz Club which provided live music and served the member’s drinks with a corkage charge. Each member was provided a cloverleaf emblazoned key to gain access through the front door. In 1965. 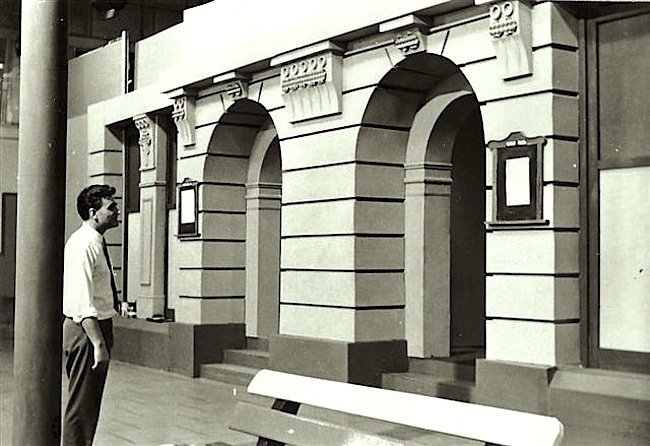 Frank Baden-Powell and John Gill established the Hole in the Wall Theatre next door in the old Braille Hall. 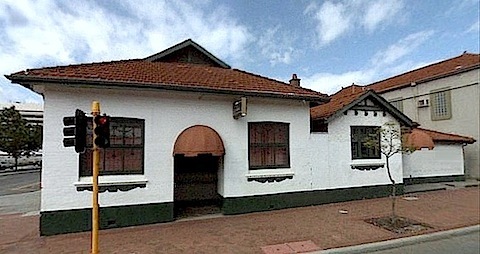 The name was derived after Frank bashed a hole between the connecting wall to the club. In January 1993, Miss Coralie Grace CONDON, was awarded The Order of Australia (OAM) during the Australia Day honours ceremony, for service to the entertainment industry. 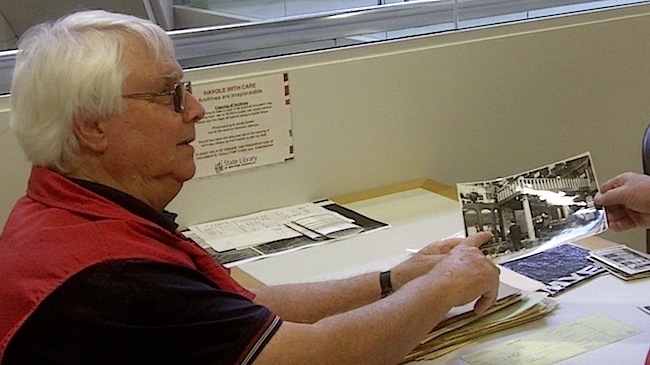 On Monday 4th October 2010, our humble TV heritage team descended on the Battye Library in Perth to research Coralie Condon’s contributions to theatre and television in Western Australia. This was followed up on Tuesday 12th and Wednesday 13th of October 2010, when our intrepid team was joined by Coralie Condon. 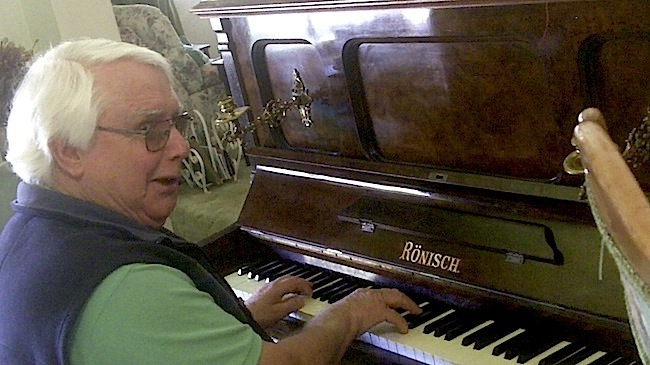 Allison is presently preparing an exhibit at the library on Peter Piccini and the impact of other Italian musicians on Western Australia. 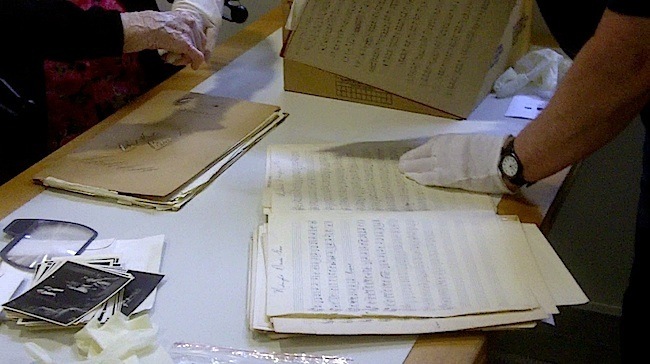 Checking out the boxes of memorabilia that Coralie gifted to the library… photos, music, scripts, clippings, souvenirs, cassettes and videotapes. 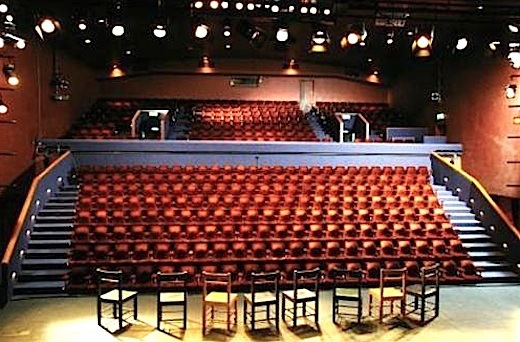 Since the National Theatre Company’s closure in 1984, The Playhouse has been home to The Playhouse Theatre Company [1984–85], Western Australian Theatre Company [1985–1991] and Perth Theatre Company [1995 – present], now managed by AEG Ogden (Perth) Pty Ltd on behalf of the Perth Theatre Trust. 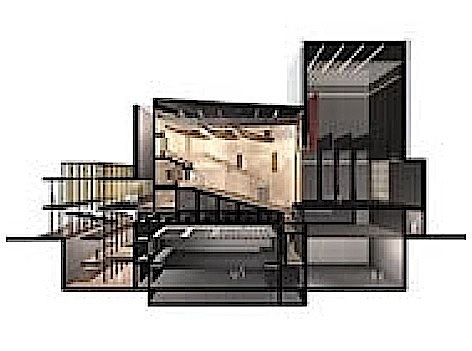 As of 2010, the Black Swan State Theatre Company and the Perth Theatre Company will be the resident companies of the State Theatre Centre on the corner of William Street and Roe Street in Northbridge, ending its 16-year residency at the Playhouse. 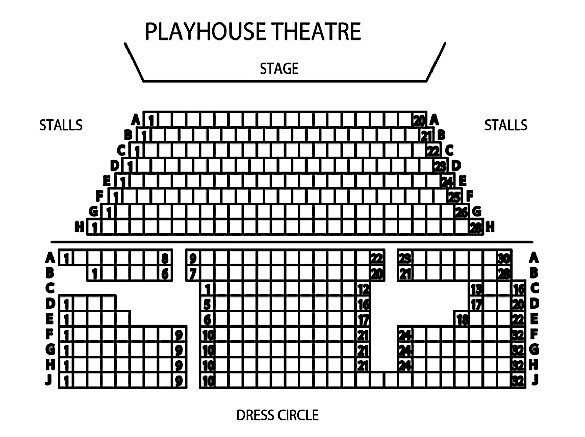 Now the wrecker’s ball is expected to swing through the 54-year-old Playhouse soon after its operations shift to the State Theatre Centre in January, 2011. The building of the Western Australian State Theatre Centre is almost finished. 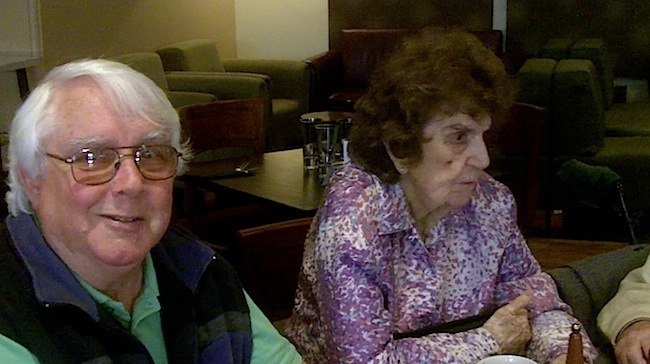 it was very interesting to read this, especially considering this is my great aunt! I managed to come across this article, and while I knew a lot of the information, it was very good to see all the old clips of “The Good Oil”. Excellent material, Ken. Well done! Congratulations and Happy Birthday to Coralie. But surely, the four dancers in 10 gallon hats were performing in ‘Oklahoma’, not ‘Guys and Dolls’. ‘Guys and Dolls’ was also the name of the four person dance group consisting of Judy Schonell, Dorothy & Bert Shaw and Reg Whiteman. Reg became the very first Fat Cat, though on the occasion of the above photo Reg was having a sickie and another chap stepped in. 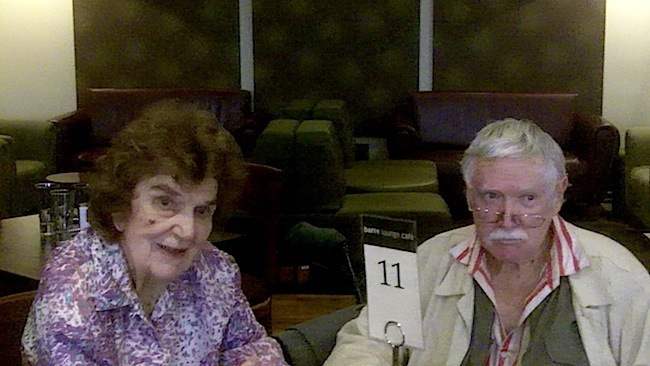 Judy Schonell is the mum of the former Hollywood actor Marcus Graham, who most recently played Melbourne underworld figures in two Australian television dramas, 1995’s Blue Murder and 2008’s Underbelly. 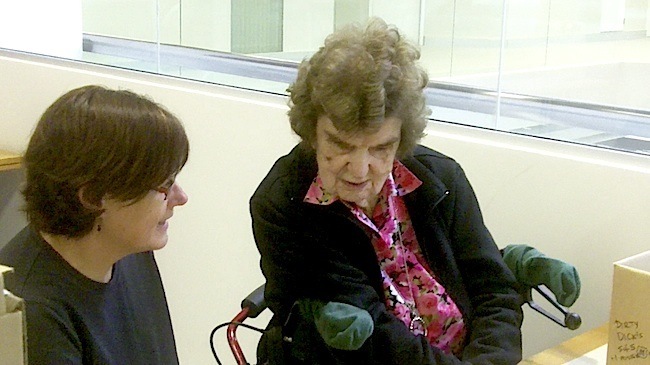 Your kind words have been passed onto the birthday girl… whose memory beats us all when it comes to those early days. 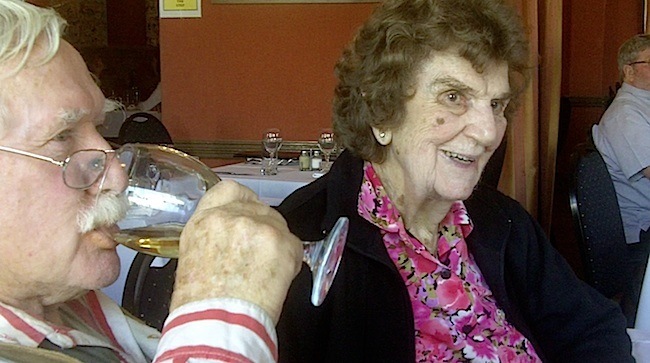 Coralie was my drama teacher at the St George’s Cathedral Children’s Drama Group on Saturday mornings from 1968 — I vividly remember the purple roneoed scripts she handed out on my first day, and the speech exercises we did, saying ‘Bob!’ and ‘Five!’ to stretch our jaws and vowels. Every Saturday was awaited impatiently, as Coralie and our subsequent teachers (Chris Winzar, Barry Underwood, Christine Mearing and others) led us into the wonderful world of theatrical make-believe. 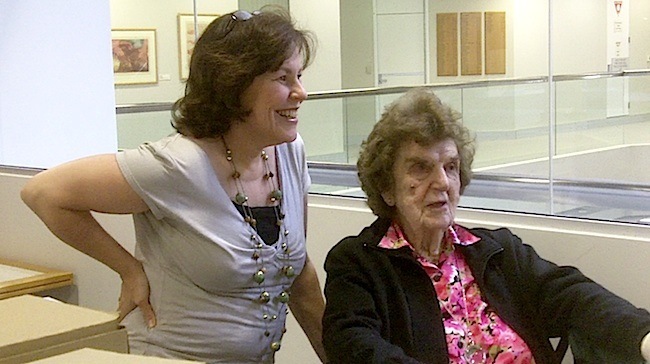 My mother had known Coralie since the days of Patch Theatre in the 1950s, and spoke of how such amateur drama and dance groups had nurtured many later stars and stalwarts of Australian television. Those first classes in the old buildings that used to stand behind the Cathedral implanted in me a passion for drama that has never abated, though my career has been in teaching Japanese language, though that, in turn, was inspired by a Japanese musical theatre company, the Takarazuka Revue, about which I eventually wrote a PhD thesis! Of course the Heath Ledger Theatre at the Perth Arts centre should have been named after one of the people named in this article, Coralie, Frank Baden-Powell, Ray Omodei and most of the others mentioned, did so much more than Heath Ledger, for local theatre andn aren’t recognised. 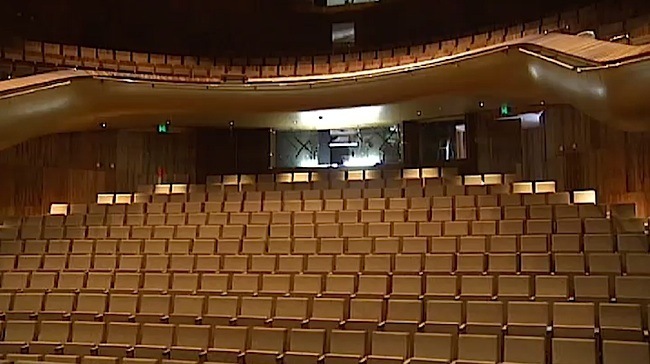 Even the Subiaco Theatre Centre space, was to be amed after Frank Baden-Powell, but the conservatives got in and forgot about it. It’s a shame now that this space and most theatres around Perth are quiet, there is no live theatre to speak of in this cultural desert. Am I mistaken? I have a vivid recollection of Coralie running a sort of “teenage hangout” in the late 50’s or maybe early 60’s. It was in an old part of Perth, probably the cultural centre as there were varies rooms and courtyards. The Old goal behind the museum comes to mind. I recall they had a performance of the Bee Gees when they were very very young. My mother told me a bit about Coralie’s career. Seems to me she never had time for this sort of thing. I would be interested to know if anyone remembers this venue.